Yea I am assuming that a handshake of some sort has happened a big assumption but then again if we are talking about this sort of stuff it gets a little boring if we only go with what we totally know (declassified material, witness statements). My imagination runs wild and maybe I have jumped from one bit of information and added a bunch of other stuff into it. I think this subject can make you go crazy. I need to relax. If a time traveller went back in time and stopped their own grandparents from meeting, would they prevent their own birth? That’s the crux of an infamous theory known as the 'grandfather paradox', which is often said to mean time travel is impossible - but some researchers think otherwise. The research was carried out by a team of researchers at the University of Queensland in Australia and their results are published in the journal Nature Communications. Space-time can be warped and distorted. It takes an enormous amount of matter or energy to create such distortions, but theoretically, distortions are possible. 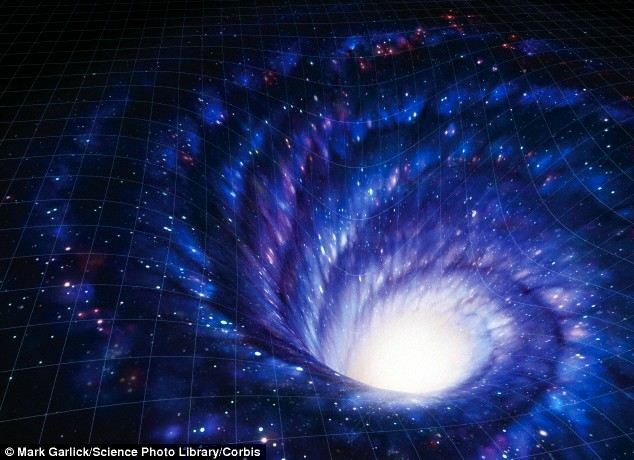 In the case of a wormhole, a shortcut is made by warping the fabric of space-time. Imagine folding a piece of paper with two pencil marks drawn on it to represent two points in space-time. The line between them shows the distance from one point to the other in normal space-time. If the paper is now bent and folded over almost double - the equivalent to warping space-time - then poking the pencil through the paper provides a much shorter way of linking the two points, in the same way a wormhole would create a shortcut. The problem with using wormholes to travel in space or time is that they are inherently unstable. When a particle enters a wormhole, it also creates fluctuations that cause the structure to collapse in on it. A recent study suggests there are unusual-shaped wormholes than may be able to stay open longer than normal. The study used photons - single particles of light - to simulate quantum particles travelling back through time. By studying their behaviour, the scientists revealed possible bizarre aspects of modern physics. In the simulation, the researchers examined two possible outcomes for a time-travelling photon. In the simulation, the researchers examined the behaviour of a photon traveling through time and interacting with its older self. In their experiment they made use of the closely related, fictitious, case where the photon travels through normal space-time and interacts with another photon that is stuck in a time-travelling loop through a wormhole, known as a closed timelike curve (CTC). Simulating the behaviour of this second photon, they were able to study the behaviour of the first - and the results show that consistent evolutions can be achieved when preparing the second photon in just the right way. By definition ‘quantum’ refers to the smallest possible particles that can independently exist - such as photons. However, for macroscopic systems time-travel still faces problematic paradoxes. In 1991 it was first predicted that time travel would be possible in the ‘quantum world’ because quantum particles behave almost outside the realms of physics. 'The properties of quantum particles are "fuzzy" or uncertain to start with, so this gives them enough wiggle room to avoid inconsistent time travel situations,' said professor Timothy Ralph, one of the researchers on the latest study. The results also give a better understand to how two theories in physics, on the biggest and smallest scales, are able to relate to one another. 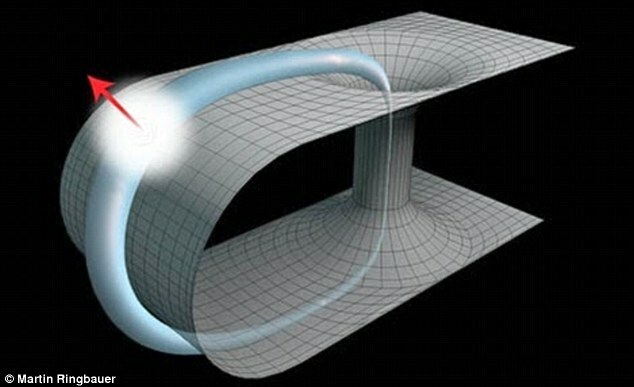 'The question of time travel features at the interface between two of our most successful yet incompatible physical theories ' Einstein's general relativity and quantum mechanics,' said PhD student Martin Ringbauer from the University of Queensland. Einstein's theory suggests the possibility of travelling backwards in time by following a space-time path that returns to the starting point in space but at an earlier time - a closed timelike curve (CTC). This possibility has puzzled physicists and philosophers alike since it was discovered by Austrian-American scientist Kurt Gödel in 1949, as it seems to cause paradoxes in the classical world. These include the 'grandparents paradox', where a time traveller could stop their grandparents from meeting, thus preventing the time traveller's birth. This would make it impossible for the time traveller to have set out in the first place. But this new research suggests that such interactions might indeed be possible - albeit only on a quantum level. To view links or images in signatures your post count must be 15 or greater. You currently have 0 posts. As far as "best of 2014" lists go, the CIA has a pretty irresistible one: On Dec. 22 it started tweeting links to the 10 most popular articles of the year that it shared on Twitter, and the agency arrived at No. 1 yesterday, tweeting: "Reports of unusual activity in the skies in the '50s? It was us." The accompanying link directs readers to The CIA and the U-2 Program, 1954-1974, a 272-page document from 1998 the CIA tweeted a link to in early July, reported KAKE at the time. The upshot of the report is that the CIA was the culprit behind more than half of the UFO sightings logged in the 1950s and 1960s. As VentureBeat reports, the CIA tested its U-2 spy planes at 60,000 feet, an altitude that seemed impossible for man to reach at the time—leading observers, specifically pilots, to suspect it wasn't man up there at all. VentureBeat highlights a portion of the report that explains that in the mid-1950s, most commercial airliners stuck below 20,000 feet; military aircraft kept it below 40,000 feet. "Consequently, once U-2s started flying at altitudes above 60,000 feet, air-traffic controllers began receiving increasing numbers of UFO reports." The CIA actually cross-checked the UFO reports with its flight records, it noted in the document, but in instances when it verified the UFO was really a U-2, it stayed mum. The report was part of documents declassified in 2013 that famously detailed the existence of Area 51 in Nevada. As for the rest of the CIA's top 10, it includes a look at a day in the life of a "not yet burned out" CIA Operations Center Officer and a confirmation that pigeon missions remain classified. Nikita Khrushchev: "We will bury you"
"Your grandchildren will live under communism." “You Americans are so gullible. until you’ll finally wake up and find you already have communism. like overripe fruit into our hands." All times are GMT. The time now is 09:02.